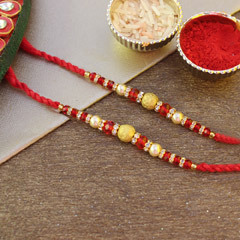 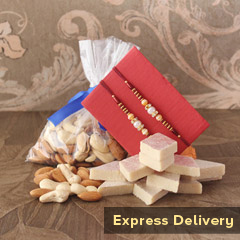 On this Raksha Bandhan if you wish to dazzle up wrists of both your brothers then here is an excellent Rakhi set to make choice for. 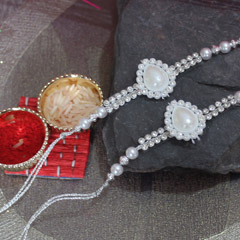 It’s a lovely Rakhi pair that has been intricately designed in attractive patterns and styles using silver, sparkling stones and lots of colorful beads too. 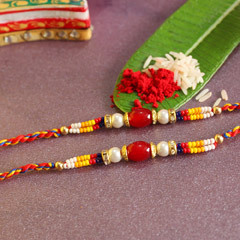 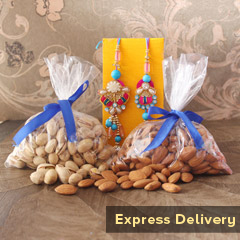 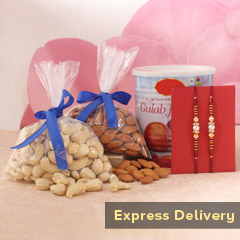 Your brothers will also love flaunting these Rakhis on their wrists.